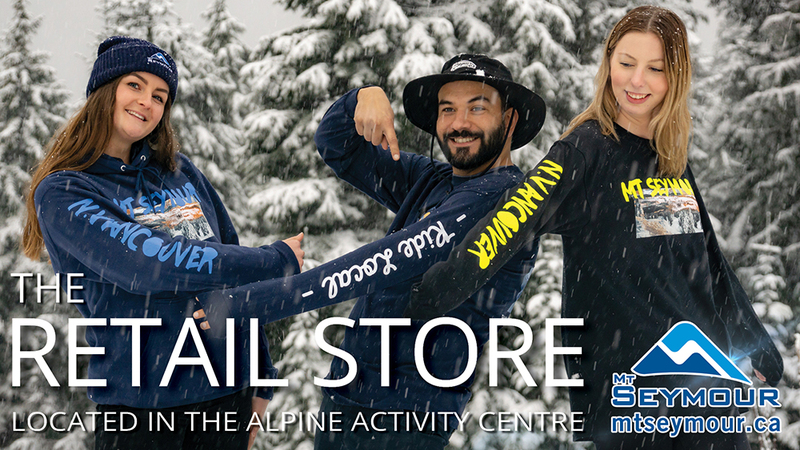 The Mt Seymour retail store is located in the Alpine Activity Centre (AAC) and is home to all of your last minute Ski and Snowboard needs. We stock a wide variety of gloves, goggles, helmets, facemasks and toques in kids and adult sizes. Our exclusive range of limited edition Mt Seymour apparel is also available to purchase at the start of each season and is available while stocks last. You can also purchase retail items from the Bears Den and Enquist Lodge. *Mt Seymour Gift Cards accepted.